This contest started on 5/4/17. This contest has a winner. 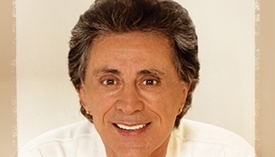 * Win 2 Tickets: Frankie Valli And The Four Seasons- Friday 5/26/17- Hard Rock Live- Hollywood. Jeff Eats got 2 tickets to give to one of you guys to see- Frankie Valli And The Four Seasons on Friday- May 26th (8pm) at the Hard Rock Live in Hollywood. The game- the first 35 “reader-comments” received – will be entered in a “blind hat pick”! You can submit as many comments as you’d like but- Please, only 1- reader comment – per day…play fair! Bet you a buck that those teeth are fake. I sure want this one. Please let me be the winner. This is going to be a great concert. Please make this happen for me. I am a huge 4 Seasons fan. Please make me the winner. I want to see this show. Time for the old boy to retire. Saw the show and he is lip syncing the songs.